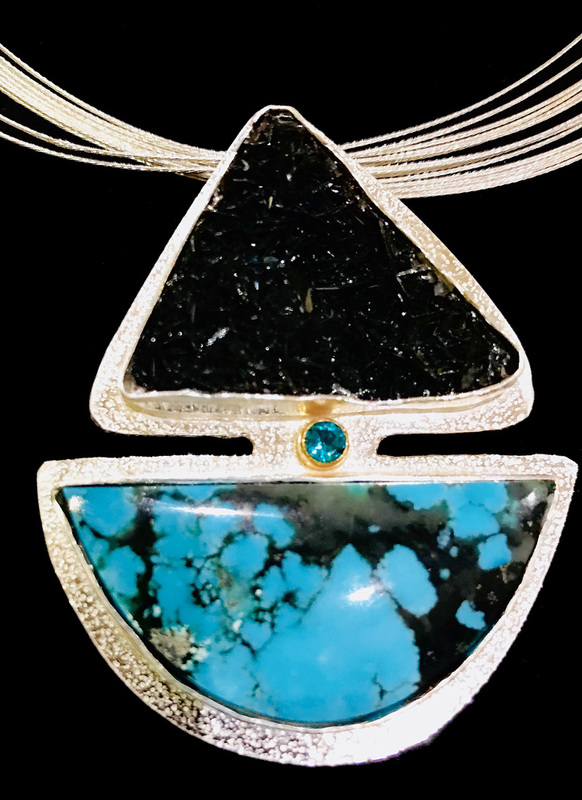 A beautiful pendant made from a Black Needle Hematite drusy paired with Ithaca Peak Turquoise. I also added a sparkling blue zircon in the center. It is 3″ long and 2″ wide with an invisible bail. All works are hand signed by the artist. Click image to see enlargement. Please contact Suzanne Brown Jewelry if you want to order from the website. Or call Suzanne at 480 225 0930.